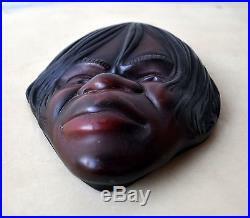 Australian Aboriginal "Abony" Wall Plaque Girl's Head in Relief Rare Vintage. 15 cm (6) max height. 12.5 cm (5) max width. 3.5 cm (1.5) depth. 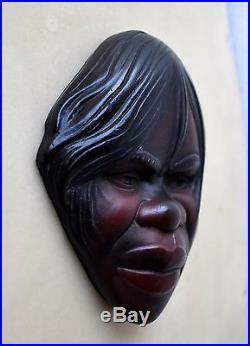 This superb old vintage Australian Aboriginal "Abony" wall plaque, made in Australia, probably circa 1950s or'60s. 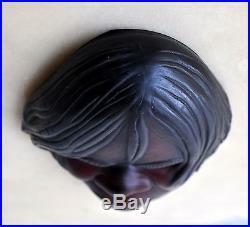 It features the head of an Aboriginal girl, in relief. 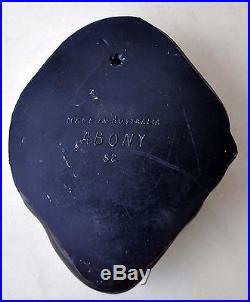 Nice uncommon piece, with "Made in Australia", "Abony" and "52", embossed on the back. This would make a suberb addition to any collection, and would make a great display piece for your wall. Check out my other items. 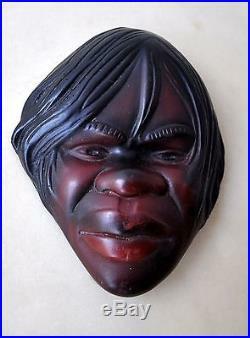 I have other Aboriginal artefacts, boomerangs and other items available, as well as a wide selection of tribal masks, statues, weapons & tools, which I will be listing. Be sure to add me to your favourites list. 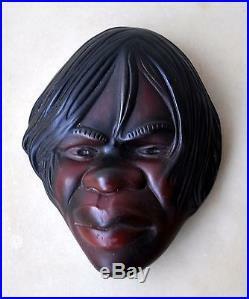 The item "Australian Aboriginal Abony Wall Plaque Girl's Head in Relief Rare Vintage" is in sale since Thursday, July 21, 2016. 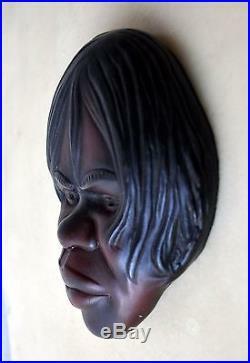 This item is in the category "Collectables\Cultural, Religious\Aboriginal". The seller is "reix718" and is located in Sydney, New South Wales. This item can be shipped worldwide.